September 27, 2017 – It’s always sunny in space, and the feasibility of harnessing space-based solar power for use on Earth and beyond is the subject of a newly funded research project coming out of Colorado School of Mines. Ian Lange, assistant professor of economics and business and director of the Mineral and Energy Economics Program, has been awarded a one-year grant from NASA to study what it would take to create commercially viable space-based solar power. His was one of five economic research studies examining investments in the global space economy to be chosen for NASA funding, announced earlier this month. Space-based solar power is exactly what it sounds like—solar panels in space that can capture energy from the sun 24 hours a day. That power could be beamed to receptors on Earth or used in space to meet the energy demands of future space mining and resource extraction operations. Lange plans to explore how the federal government could regulate those Earth-based receptors as part of his research, as well as the types of financial instruments that could be used to back the development of space-based power stations. 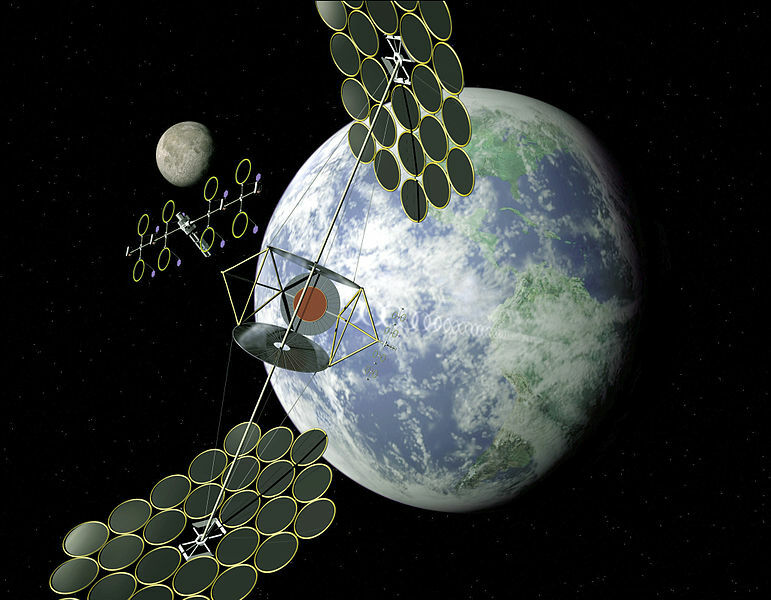 “The two markets that everyone is interested in as far as space-based solar power is advanced deployment of military units and remote mining operations,” Lange said. The study marks Lange’s first foray into space resources research, an area of growing emphasis at Mines. The school is working on launching a graduate program in space resources, with the first class, Space Resources Fundamentals, being taught this fall. Also contributing to the NASA-funded study are co-principal investigators Rod Eggert, professor of economics and business and Viola Vestal Coulter Foundation Chair in Mineral Economics, and Peter Maniloff, assistant professor of economics and business.